How can the divergent interests alongside the North Sea Canal area come together? Urhahn creates the vision for 2040 in which the area of tension between urbanization, increase of employment and conservation of regional qualities are drawn together. 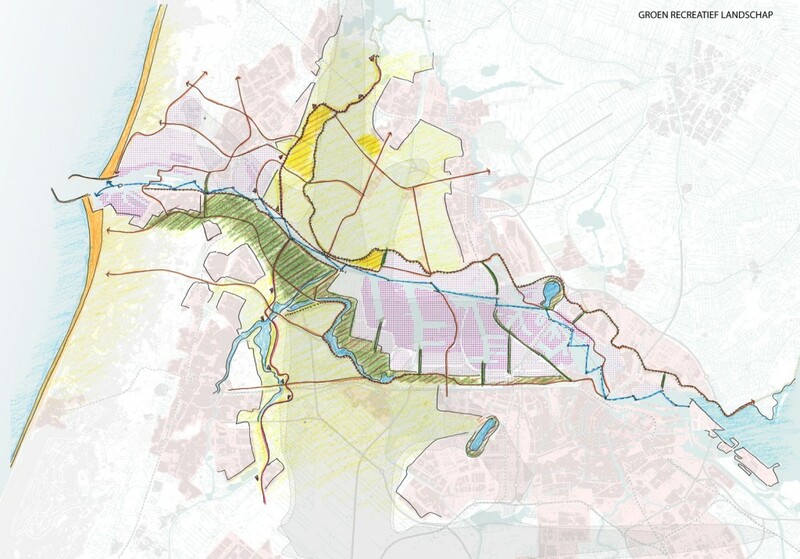 The Province of North Holland, two ministries and five municipalities around the North Sea Canal have set the goal to develop together a future vision for the canal. The interests of the different parties diverge strongly. 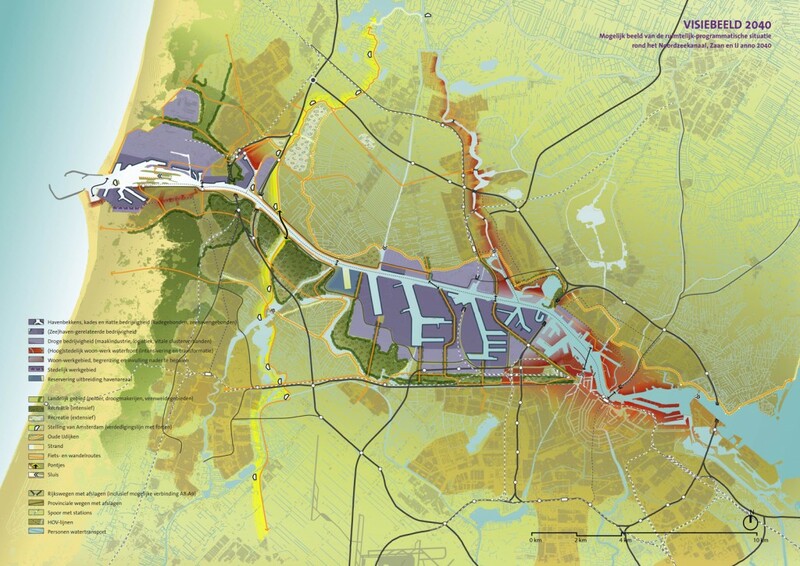 To support the economic development within the Amsterdam Metropolitan Area, space is needed for economic growth (harbours and employment areas), new residences and recreation. But the available space is limited. In 2007 Urhahn sketched an integral spatial image of the possible future developments. Until that moment economic and other policy fields had only been imagined separately. This new, integral prospect clarified the importance to set up an integral vision for the region. In 2013 Urhahn together with Decisio set up spatial-economic perspectives that bring up for discussion the area of tension between urbanization, increase of employment and conservation of regional qualities. 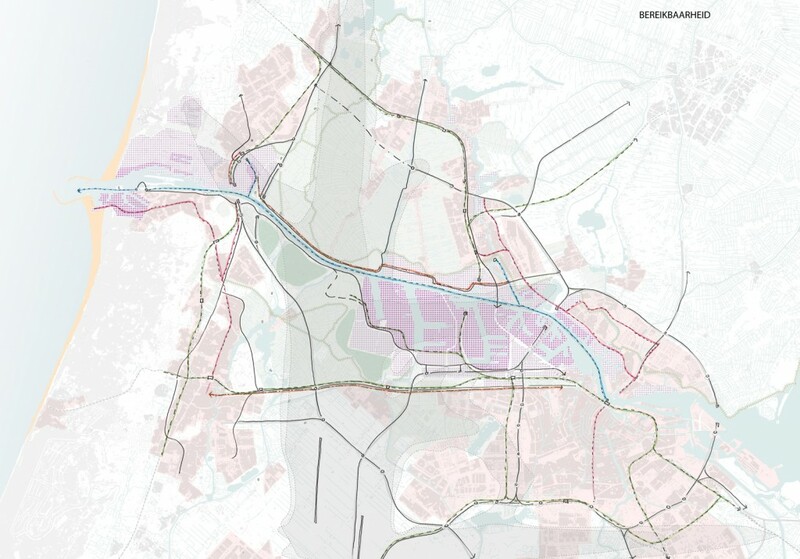 From these perspectives we distilled the ingredients for the integral Vision North Sea Canal Area 2040. Essential for the process were the moments of discussion. By frequent meetings between officials, politicians and stakeholders an understanding arose of each other’s aims and constraints. This simplified the decision-making and enlarged the support. Beside the search for substantial focus Urhahn made a major contribution to the imaging for this strategic task. The final result of this process is a government approved Vision for 2040. Intensification has become the creed of the vision. The essence of the vison is to make decisions at the moment that they are needed. This make the vision a sustainable product. Melanie Schultz van Haegen, minister of Infrastructure and Environment, quote from Blauwe Kamer Jaarboek 2013. Size of planning area: 2500 ha.